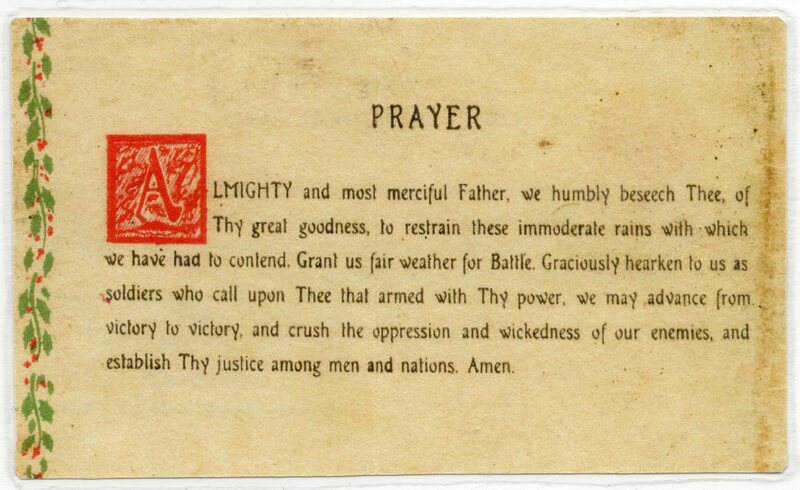 Chaplain’s copy of a moving condolence letter written to the father of a killed Soldier in France by British chaplain Gordon W.B. Stott, 7 August 1916. Letter to Rev. 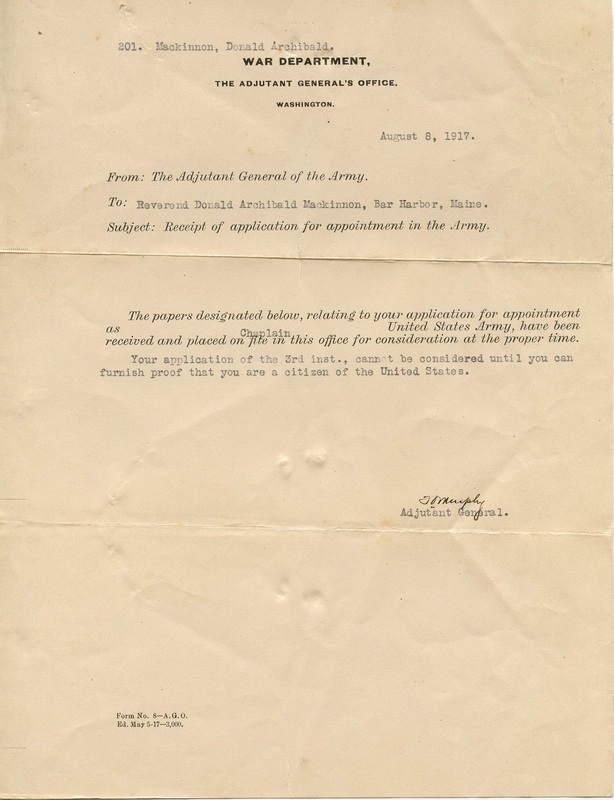 Donald Mackinnon of Maine from The Adjutant General’s Office dated 8 August 1917, requesting proof of U.S. citizenship (author’s collection). 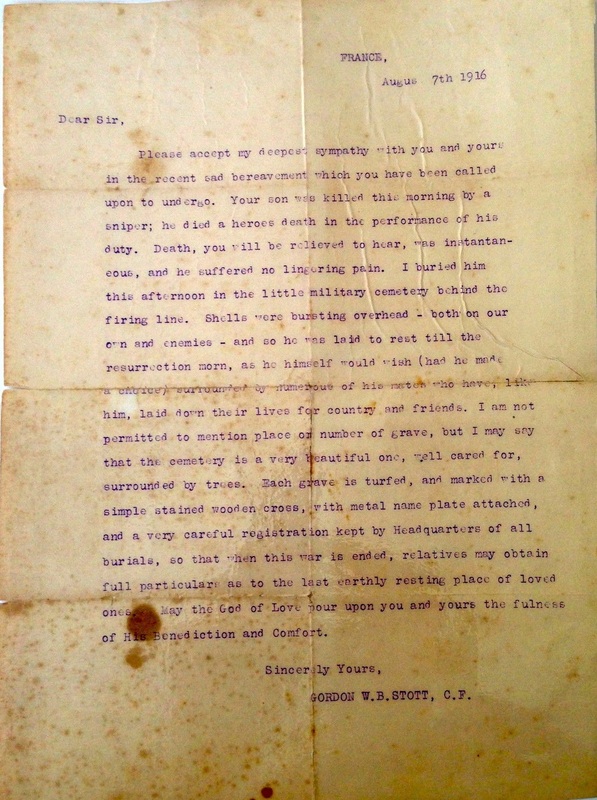 Letter from Chaplain D.H. Browne, 305th Infantry, AEF, to the wife of Lieutenant A.M. Agler about his death and funeral, 19 December 1918. 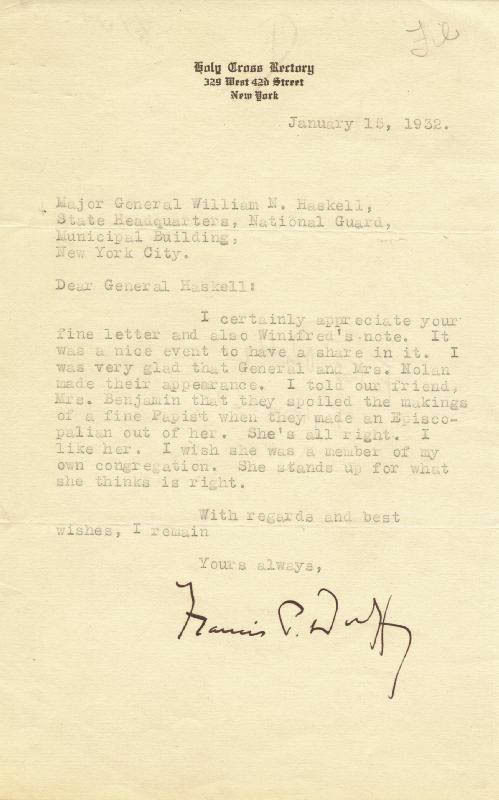 Letter written by Chaplain T. J. O’Connell, Knights of Columbus Chaplain serving with the 82d Division, AEF, 6 March 1919, to another K of C chaplain searching for details surrounding a Soldier’s death (author’s collection). 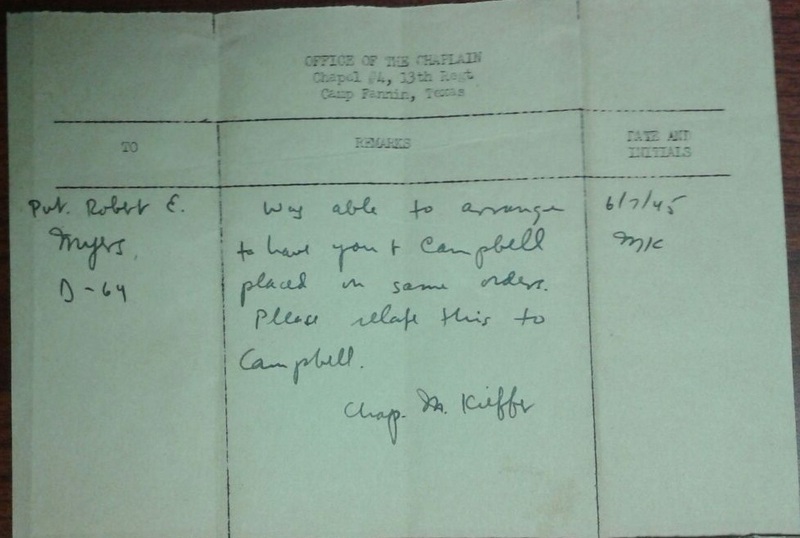 A letter to Major General William Haskell from Chaplain Francis Duffy, after his retirement, 15 January 1932. 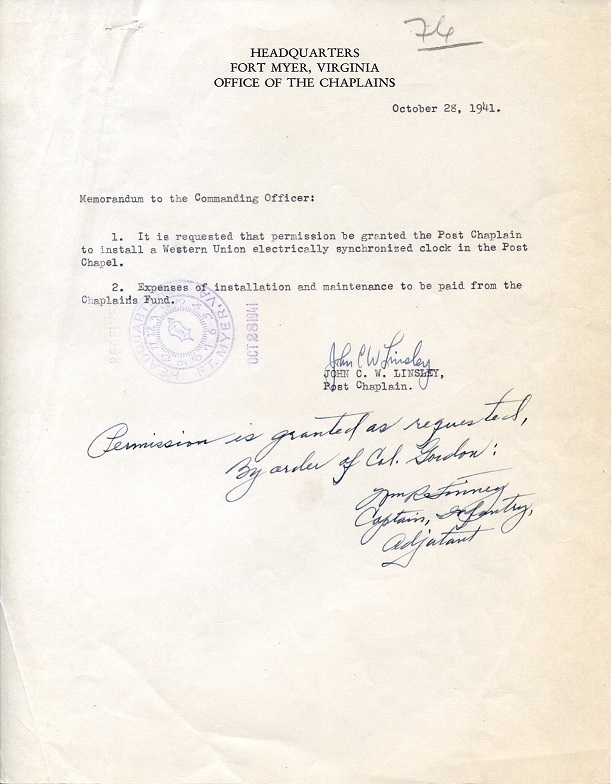 Just prior to the United State’s entry into World War 2, the Fort Myer Post Chaplain, John C. W. Linsley, requested permission to purchase a “Western Union electrically synchronized clock” for the Post Chapel to be paid for from the Chaplain’s Fund, 28 October 1941 (author’s collection). 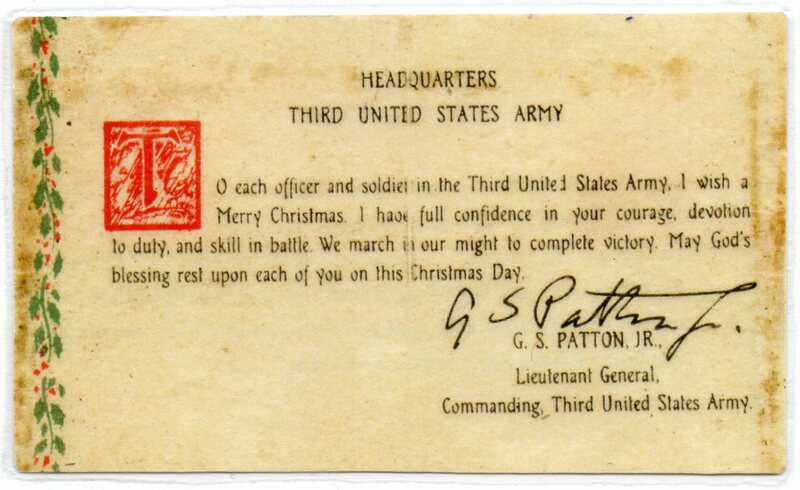 LG Patton’s famous Christmas message to the Soldiers of the 3rd Army in 1944. (copy of an original, author’s collection). 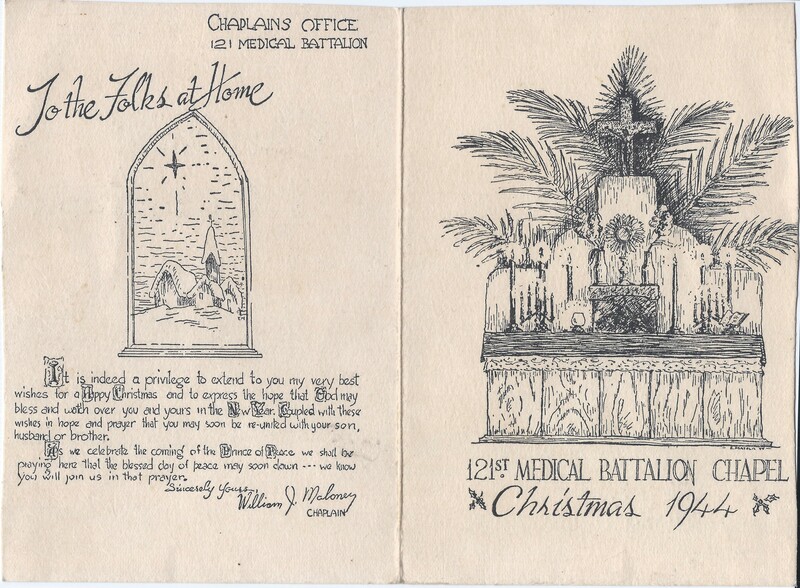 Christmas card from Chaplain William J. Maloney of the 121st Medical BN, Americal Division, 1944. At the time, they were on Bougainville Island in the South Pacific (author’s collection). 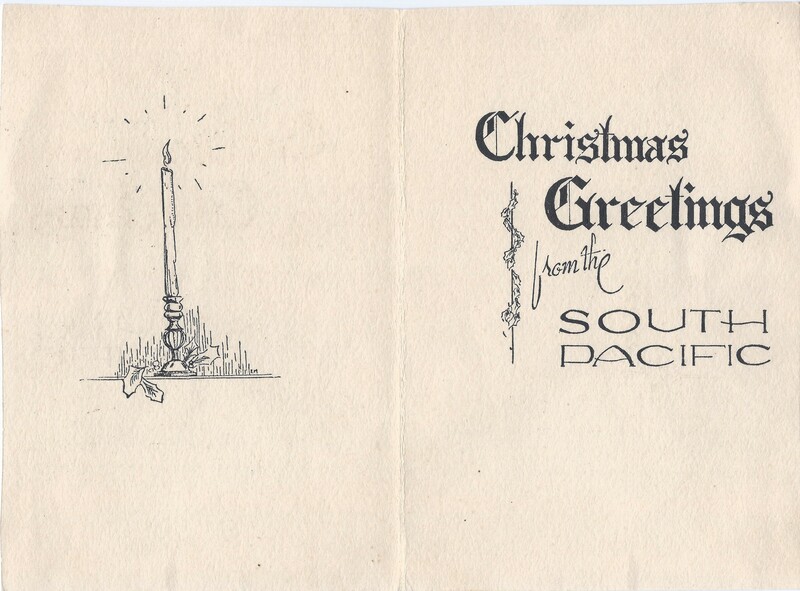 Inside of a Christmas card from Chaplain William J. Maloney of the 121st Medical BN, Americal Division, 1944. At the time, they were on Bougainville Island in the South Pacific (author’s collection). 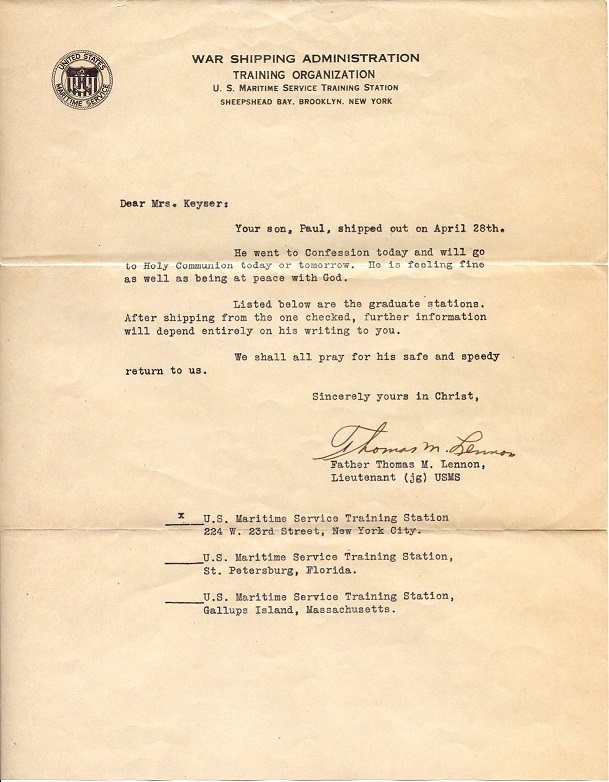 Letter to a parent of a trainee of the U.S. Maritime Service, sometime between 1942 and 1954, when Sheepshead Bay was a training station (author’s collection). 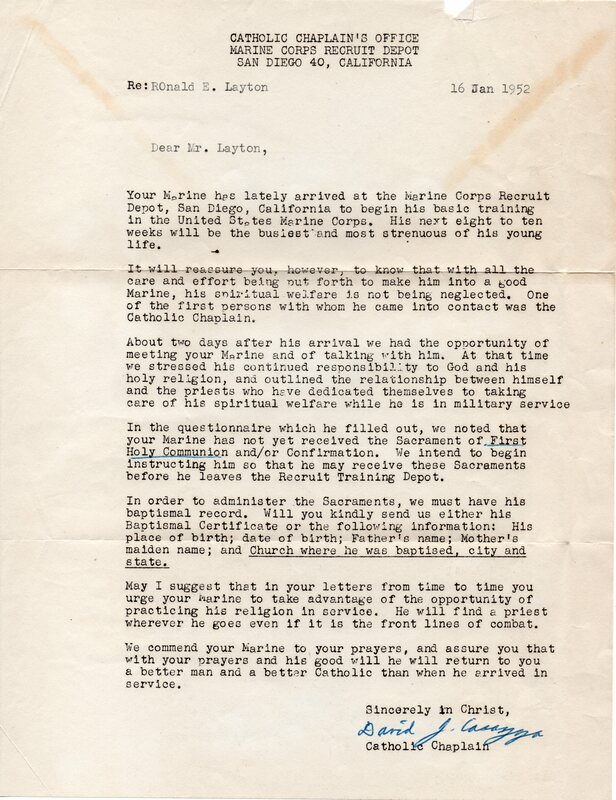 Letter to a mother of a Marine in training at the Marine Corps Recruit Depot in San Diego requesting baptism records, by Catholic chaplain, 16 January 1952 (author’s collection).